The Brighton Declaration of 20 April 2012 invited the Committee of Ministers of the Council of Europe to consider the future of the European Convention on Human Rights. What are the future challenges to the enjoyment of the rights and freedom guaranteed by the Convention? How can the Court best fulfill its twin role of acting as a safeguard for individuals and authoritatively interpreting the Convention? 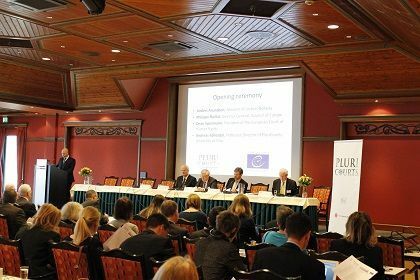 The Oslo Conference 7 and 8 April 2014, arranged by the MultiRights project and the PluriCourts centre of excellence at Oslo University, under the auspices of the Council of Europe, intends to inspire and facilitate this task, through a dialogue between scholars, judges and governmental experts.